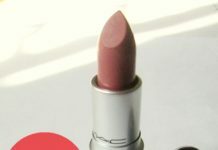 God why does MAC has to screw up the name of lipsticks always. 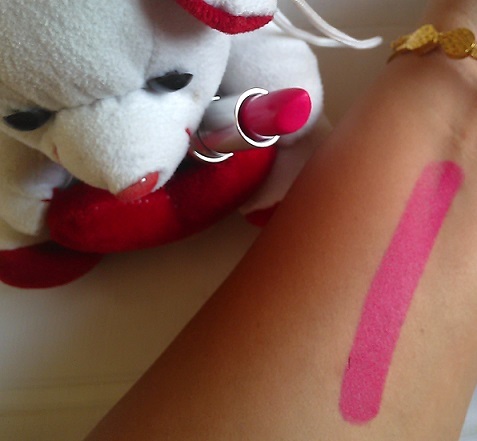 And how can a lipstick named Good Kisser can tell me what the shade is like. And the name …omg! It has already embarrassed me a lot! 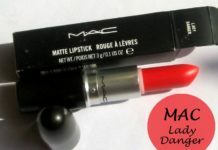 But finally after all the embarrassments and issues I got the lipstick which I was craving for since the day I saw its swatches online on beauty blogs. The Novel romance collection launched on 3rd of October in India so hope my review will help you a bit. 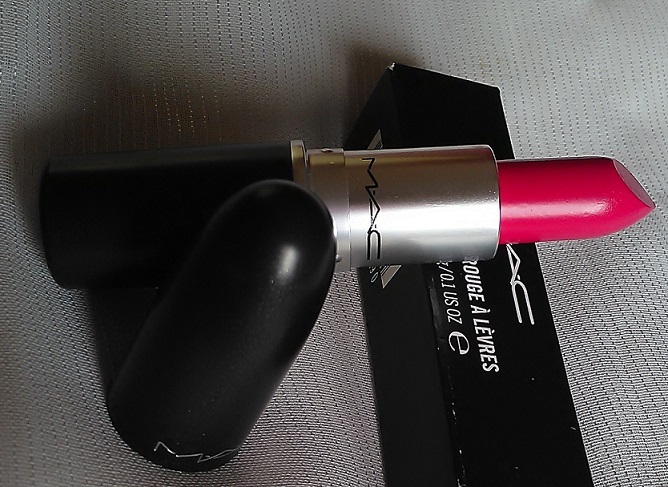 But before I start to share my experience with the lipstick let’s see what MAC has to say about this collection. 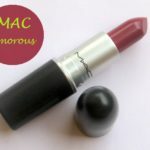 MAC Claims: Fall in lust with A Novel Romance, a colour collection teeming with deep, luscious shades that will leave you feeling overwhelmed with desire. Passion mounts, and these hues fan the flames of your deepest emotions, as an amorous adventure begins. Seduced by a secret lover, eyes lock, shrouded in the lustful, metallic hues and cool blackened purples of our Eye Shadow quads. 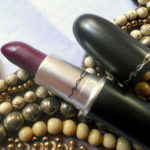 Get provocative in seductive plum and burgundy Lipstick. Then, play the temptress in come-hither shades of sweet lavender and soft rose gold. Finally, cheeks flush in shimmering Powder Blush, as you turn the page towards a powerful climax…leaving you utterly breathless. 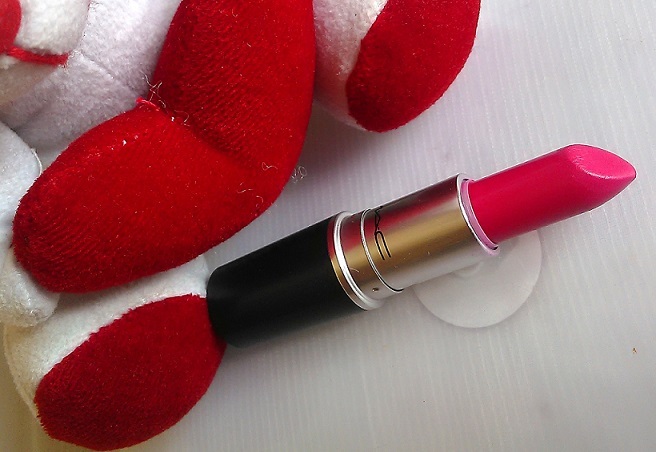 Me (embarrassed): I…I mean the lipstick…. The collection Novel romance sounds like its all about romance and love so I was expecting a LE packaging but it comes in the usual packaging. 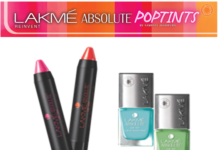 Although the shades are all new but Good Kisser is actually a dupe of another limited edition lipstick Moxie. 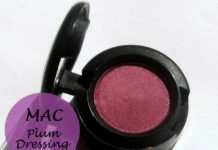 The Shade is described by MAC as mid-tone fuchsia in matte finish, which is very accurate. 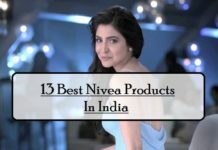 The shade is pretty bright so it might wash out dusky Indian skin tones but definitely a great shade for fair to medium skin tones. The shade instantly brightens up my face. 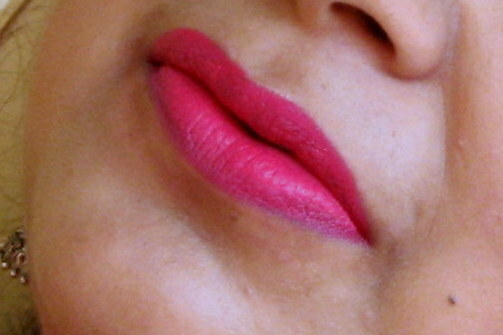 I don’t like cool tones pinks but this is an exception. 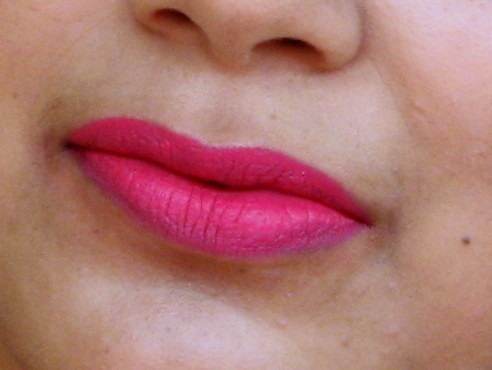 The lipstick is pigmented, one swipe is enough to get the actual color. 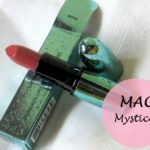 The finish is not that true matte like the retro matte ones so I don’t feel any pulling or tugging of lips while applying the lipstick. 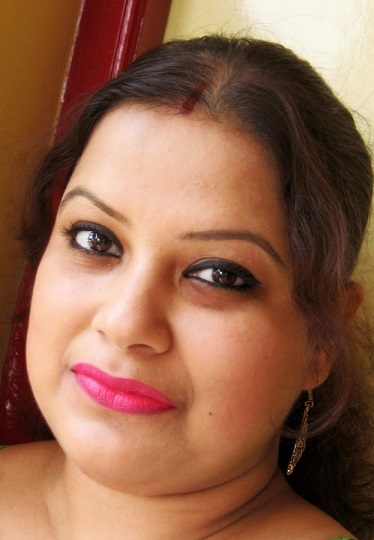 The lipstick stays on pretty much for 6-7 hours on my lips with slight fading after heavy meals. It transfers a bit but not insanely here and there. 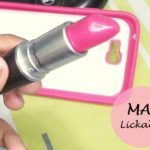 From all the shades in this range I found good kisser to be the only one that I would love to collect in my stash.The lipstick has the usual vanilla scent that always lingers around whenever I open the lipstick. Usual packaging so expect the regular price in India. 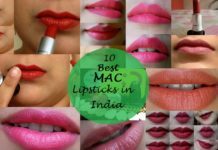 Perfect for fair to medium Indian skin tones. 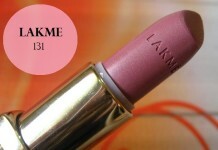 Texture is quite creamy so no tugging or pulling of lips. No feathering of the lipstick. Stays for around 6-7 hours on my lips. 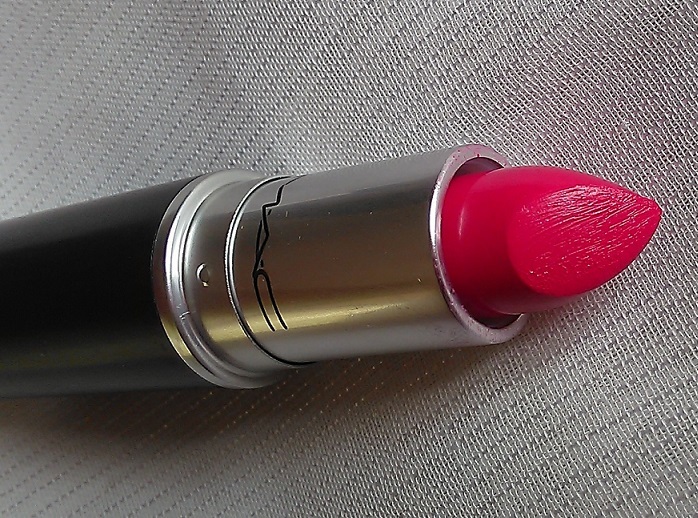 Vanilla scent that always lingers always whenever I apply the lipstick. The only con I can think is it might not get launched in all the cities and will be out of stock very fast once it releases. 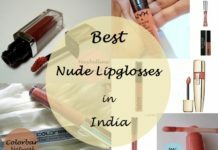 My Recommendation: Sometime I complain that they don’t care about the quality of the limited edition lipsticks as they concentrate more on the packaging, but in this collection thank fully atleast Good kisser is worth buying in terms of quality. 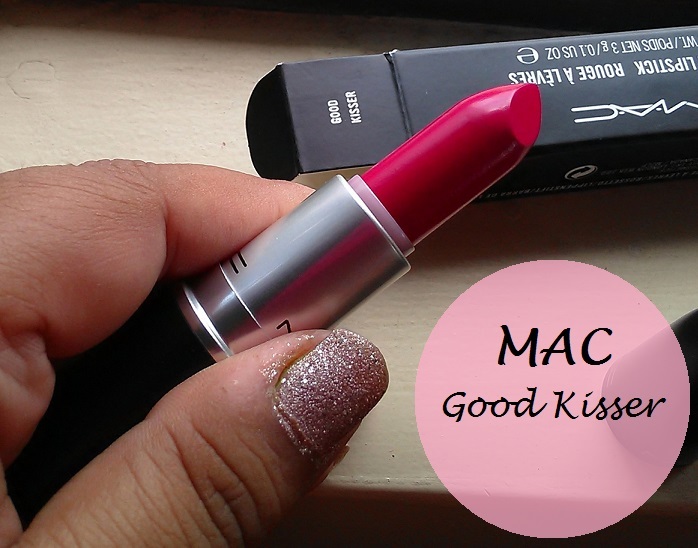 So my job of reviewing Good kisser lipstick from Mac Novel Romance ends here and your job starts! Now you must plan on how to grab it first before it gets out of stock everywhere. 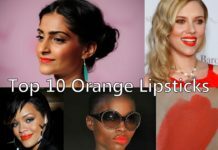 Wow…what a shade n love ur lip swatches..
LOL. Nice encounter with the MUAs. :D The color looks good on you. But not sure if it’s very exclusive. lol.. you had awesome conversation with MUA ..name is quite unique though but yea quite embarrassing.. the shade looks nice on you ..
Gorgeous shade! 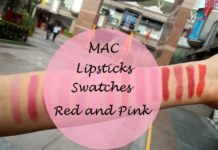 Love the swatches…. 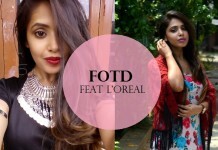 very pretty shade and u r looking awesome samannita. 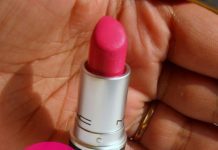 .. It’s a lovely pink shade…..
woww… I am totally in love with this shade, it looks soooo pretty. and nice clicks dear ! Shailja@BeABrideEveryday recently posted…Health and beauty benefits of green tea! 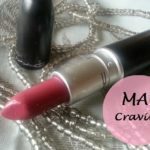 Beautiful lipstick and the name’s a bit dramatic too. You are looking pretty. 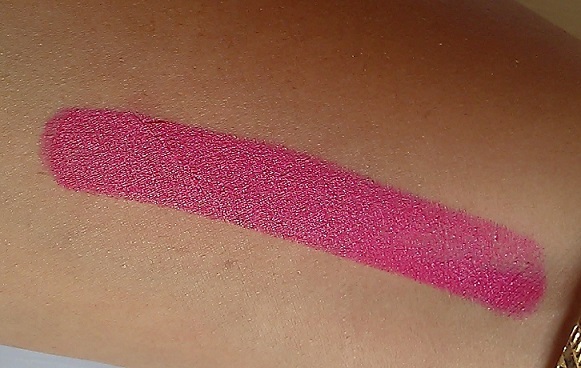 Wow..forget the name, this pink shade looks so awesome! I really want to have it! Truly tempting! !